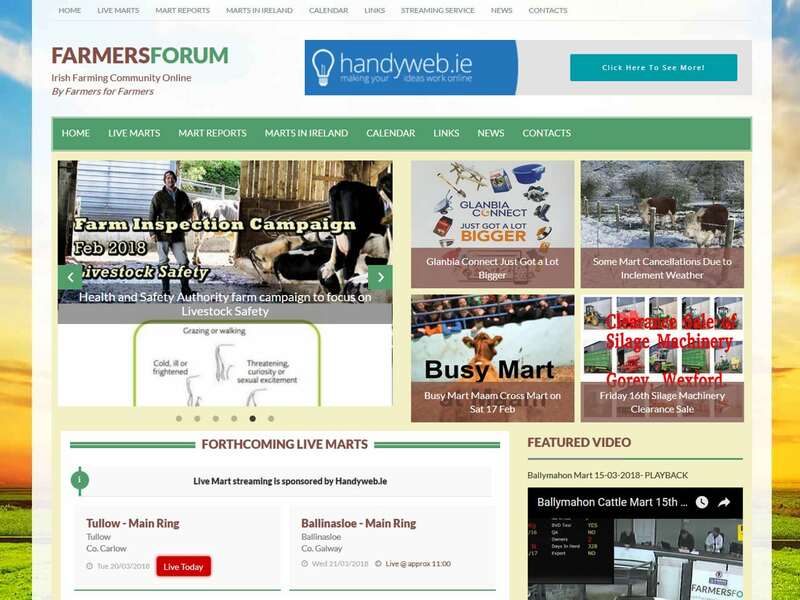 Farmersforum.ie is a farming portal driven, initially, by a demand from the farming community for a quick access to Mart Reports so they could easily see what prices stock were making at their Local Marts and help both buyers and sellers make decisions as to when to visit the Livestock Mart as well as keeping them up to date with farming knowledge. We have been the developers from day one and have worked with the client to build out this website, with focus on creating Farm Property sections, Farming Classifieds and Farm Diary. Lately, we have also worked to provide a live streaming service from the marts. This website is an example of providing a quality service to a niche market and working with this market to grow the online interaction with the farming community.